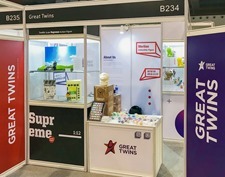 Singaporean brand Great Twins, a new toy adventure from established toy veterans, showcased their upcoming lines at the recent Pop Life FanXperience convention in Guangzhou, China. 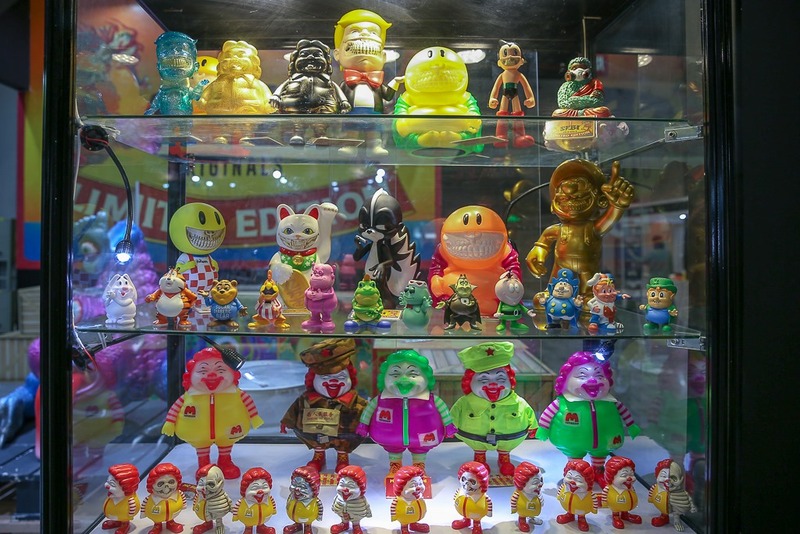 The first toys showcase their diverse approach from designer vinyl to intricate 1/12 scale collectibles. 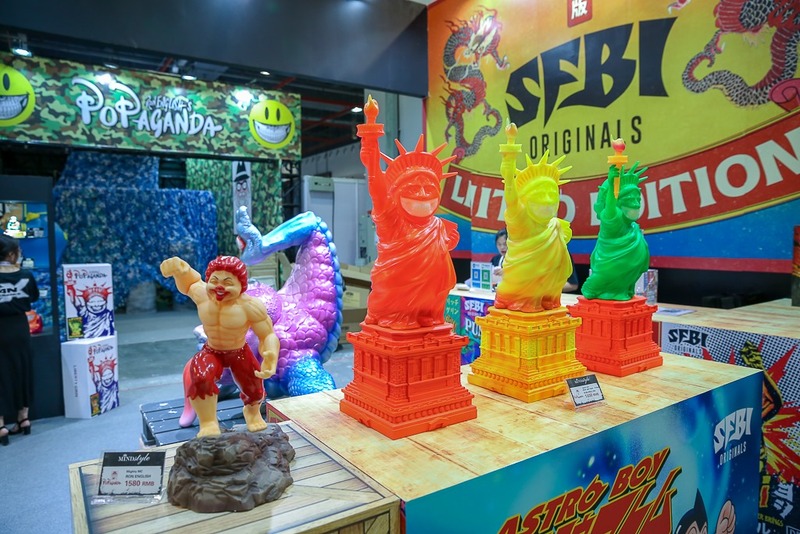 With its upcoming Merlion vinyl figures, Great Twins transforms the uniquely Singaporean creation and tourism icon into a cute, stylish platform toy. 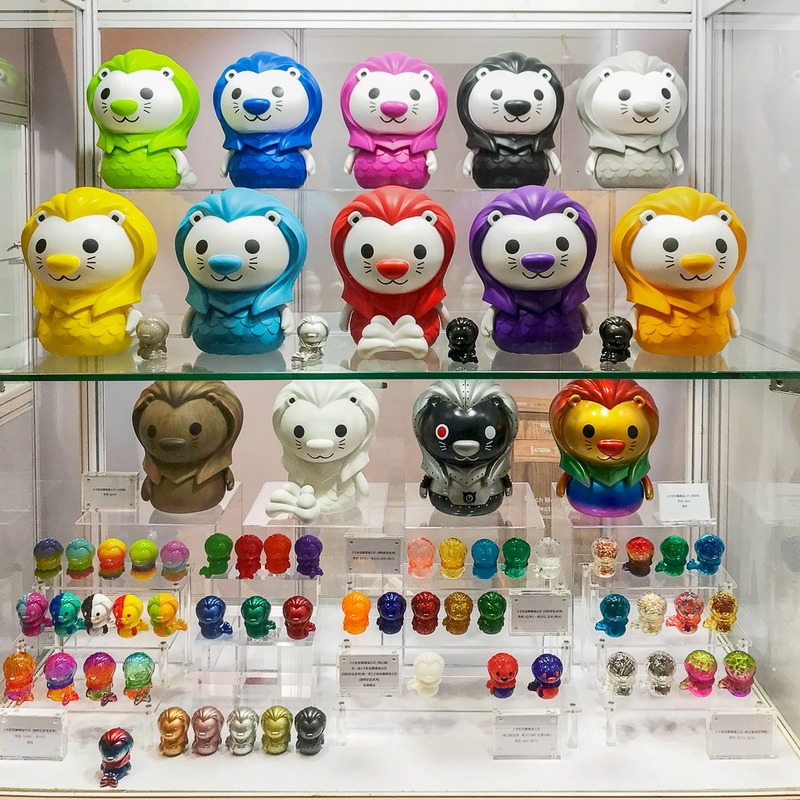 With the blessing of the nation’s tourism board, the re-imagined half-lion and half-mermaid will soon be available as 2” mini and full-size 8” vinyl toys in a rainbow of colors, artist editions, and special releases. 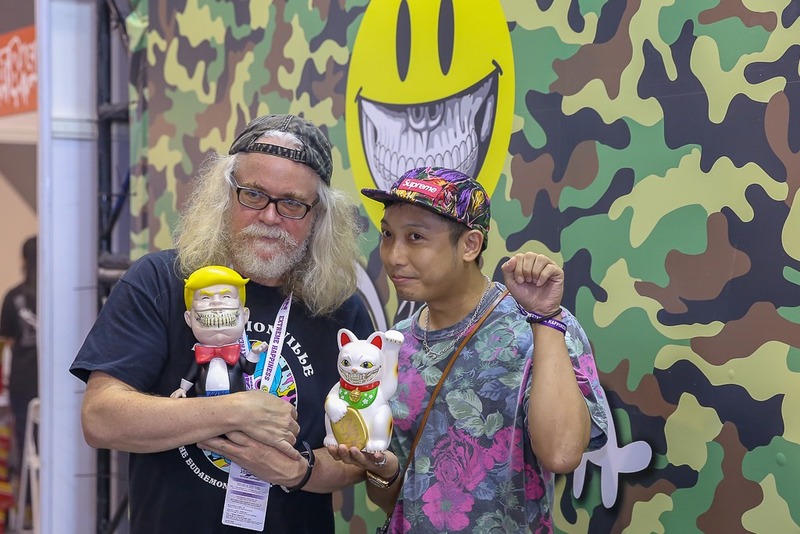 Great Twins will soon be reaching out to the toy community, in particular designers and customizers, to become part of the Merlion project. As part of its broad toy vision, Great Twins also debuted the upcoming Twelfth Scale Supreme Action Figure line which aims to make the wildly popular world of high-end 1/6 collectible figures accessible to all. 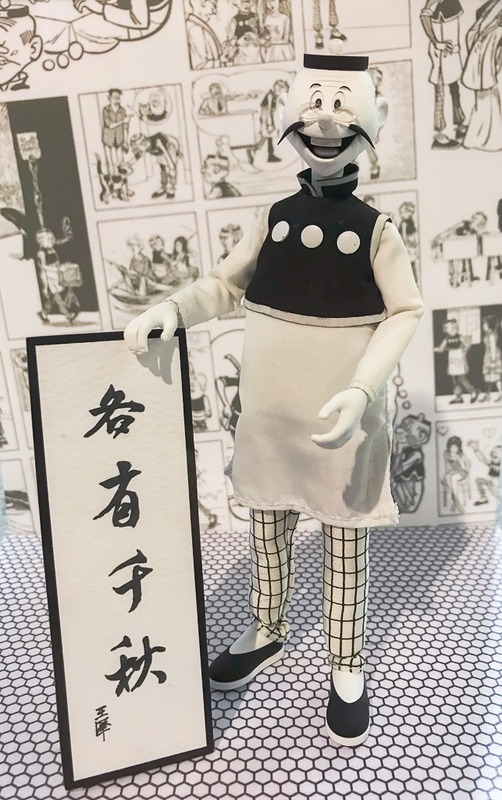 As the name indicates, the new line will feature high-end 1/12 scale figures with the premium features collectors have to come to expect from 1/6 releases including hyper realistic faces, numerous accessories, multiple hands, and more. 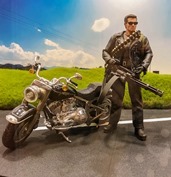 The new line will deliver the action and detail collectors crave at a lower price point and a space friendly size. 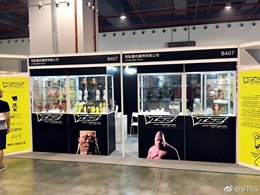 Great Twins is working with a wide range of licenses to appeal to a diverse set of collectors. 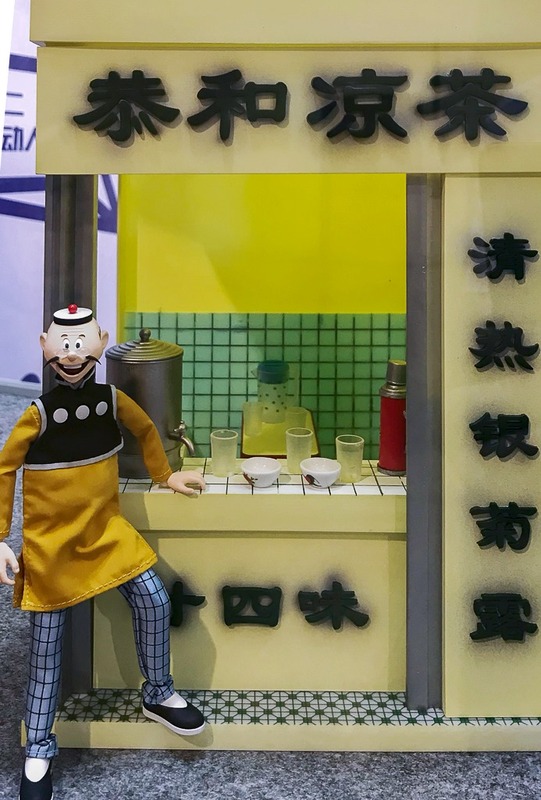 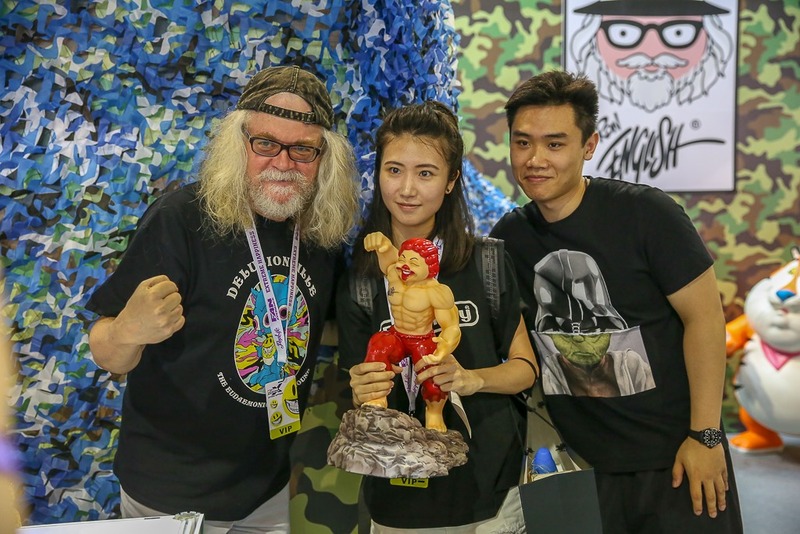 At FanX, they showcased 1/12 versions of the venerable Old Master Q—a fixture in Chinese comics—as well as a Terminator figure complete with Harley Davidson. 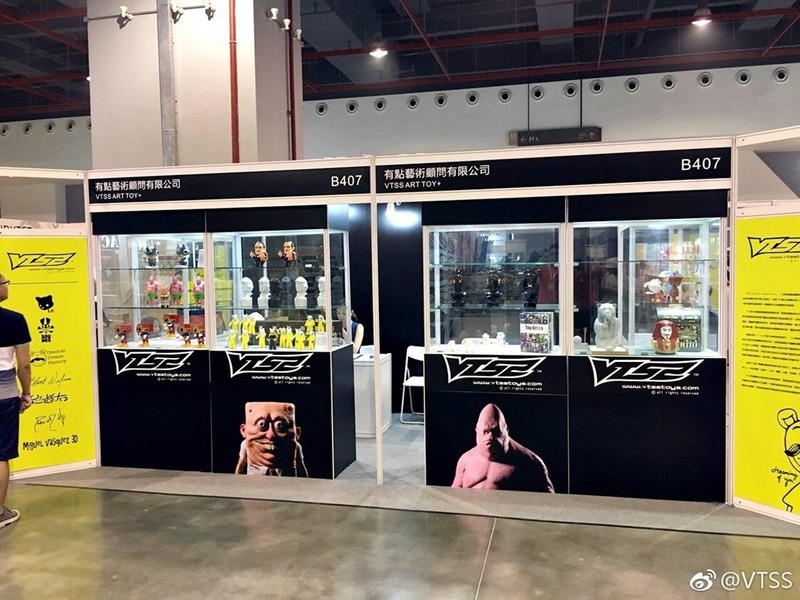 Here’s a look at the VTSS booth at Pop Life FanXperience art toy convention held this weekend in Guangzhou, China. 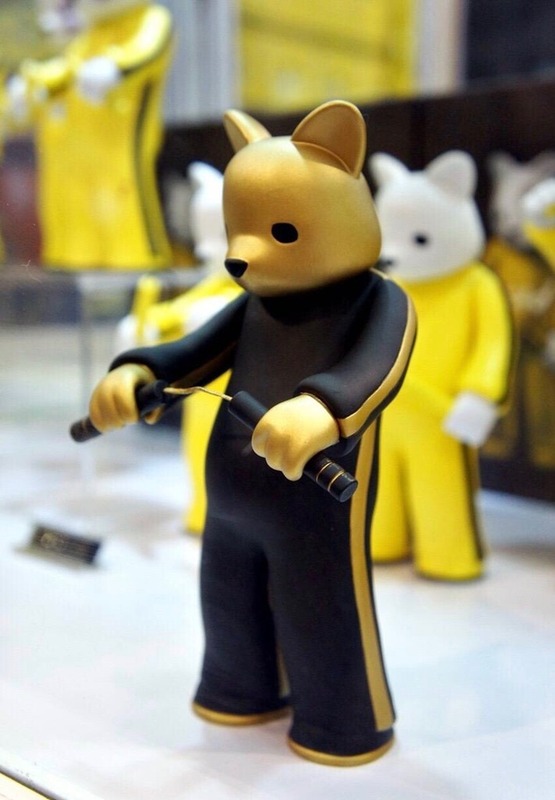 Front and center were the recently released Bruised Lee figures from Luke Chueh with a newcomer—a black + gold edition—which is currently in production. 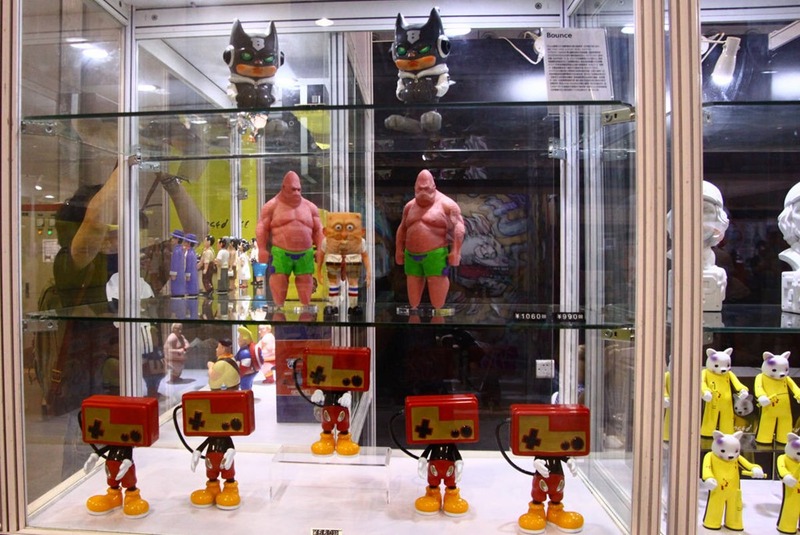 VTSS also showcased recent releases such as Bat Boy from Bounce, the wild Spongebob-inspired Humanoid Sea Friends Spongebuddy and Patbuddy from Miguel Vasquez, Cont “n” Roller from Yosuke Ueno, the Prehistoric Cuties and more. 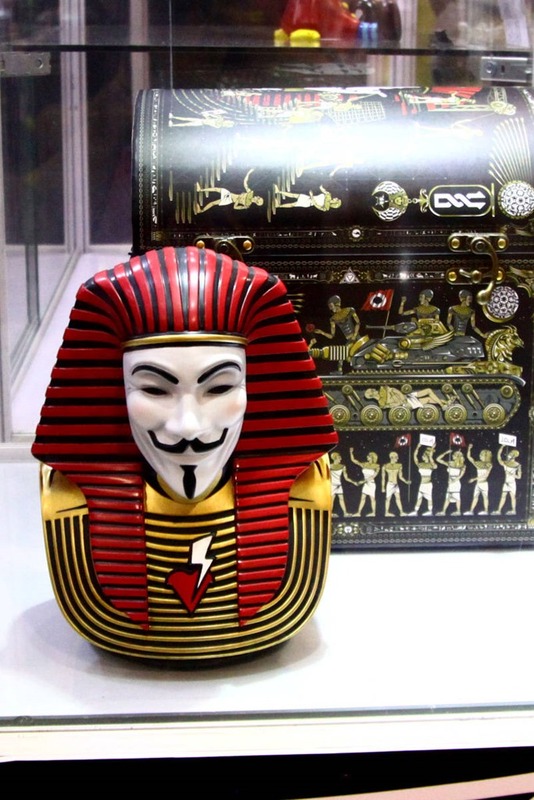 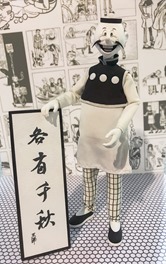 They also previewedupcoming releases including 2Vth—King Tut meets V for Vendetta—from Marwan Shawhin as well as the Twins and Dancing Spoons sculptures from Okedoki. 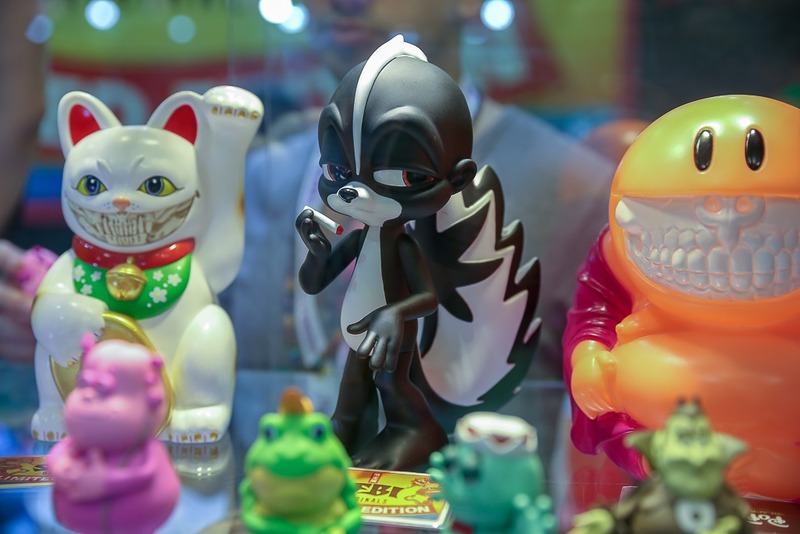 Beyond the hunt for highly sought after exclusives at conventions, we’re always hoping to see something new, unexpected, and eye-catching. 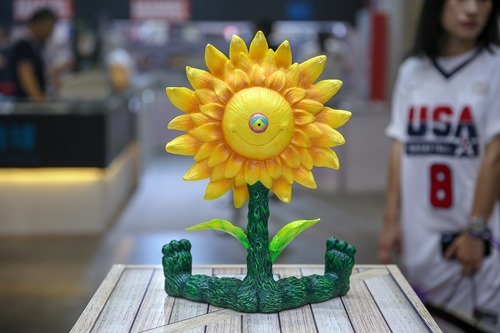 One of the brand-new standouts at the Pop Life FanXperience is the Lucky Sunflower soft vinyl from Vivi Su x SFBI. 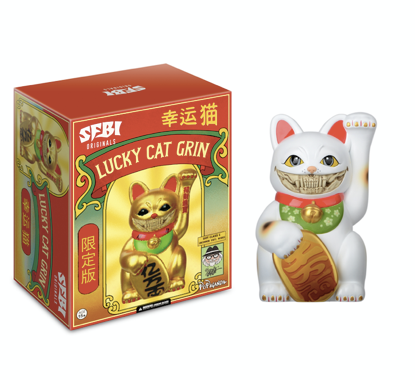 Available at the show in an extremely limited pre-release quantity, this piece features two expressions – one smiling and another that we’ll call spunky meditative—check the third eye. Not to mention the fresh stem texture. Part Sunflower, part plant brat with just a touch of emoji and a whole lot of happiness. 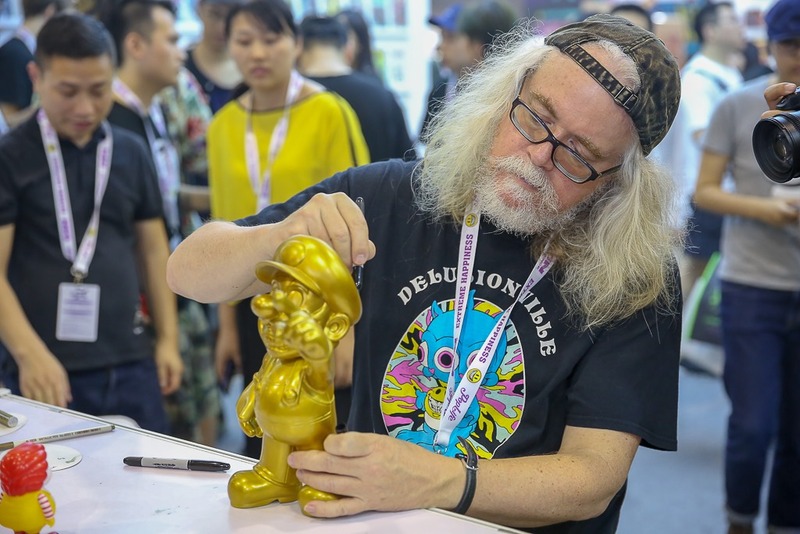 Ron English drew long lines of collectors at the Pop Life FanXperience in Guangzhou, China which runs through Sunday (5.20). 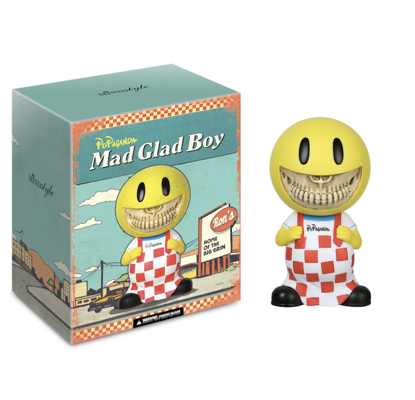 At the top of the buy list were several of his recent figures from Pop Life including the brand-new Mad Glad Boy which does reminds us of a certain nostalgic restaurant mascot. 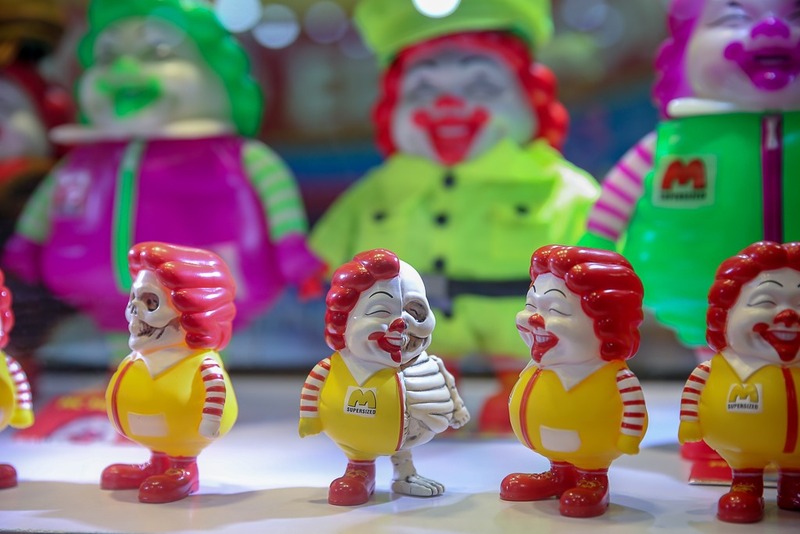 From the massive Liberty Grins and the Mighty MC—think Ronald vs. the Hulk—to the new MC Supersized Minis from Secret Base, there’s something for every collector’s taste and budget. 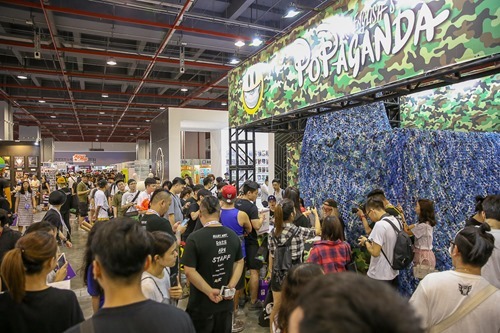 [Photos: Courtesy of Pop Life FanXperience. 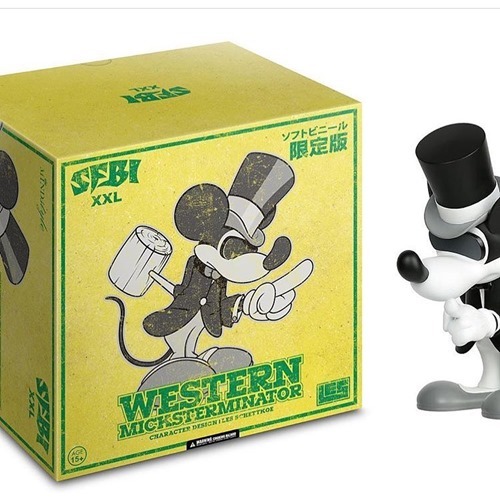 Oooh… It looks like Pop Life and SFBI have prepped an OG Painted Edition of the Western Micksterminator figure from Les Schettkoe. 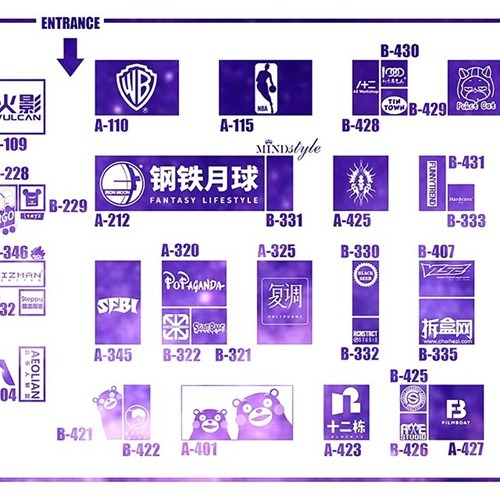 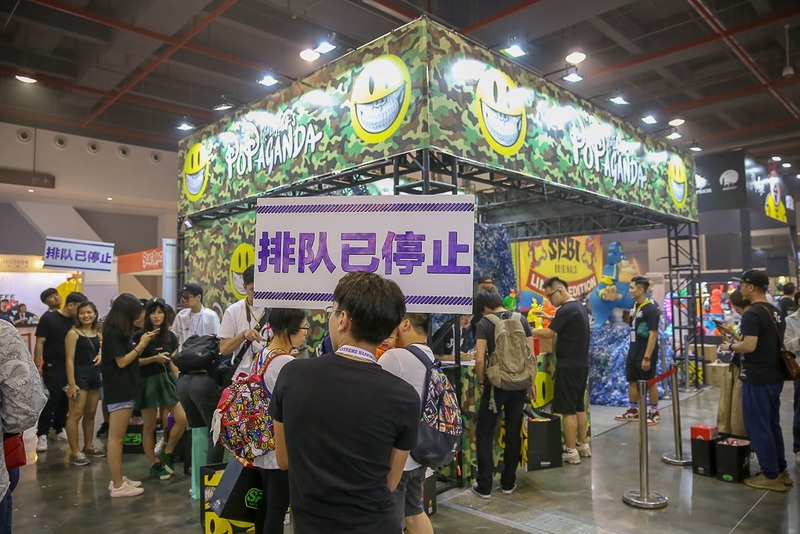 The place to see it first is the Pop Life FanXperience happening this weekend in Guangzhou, China (6.19 – 6.20). 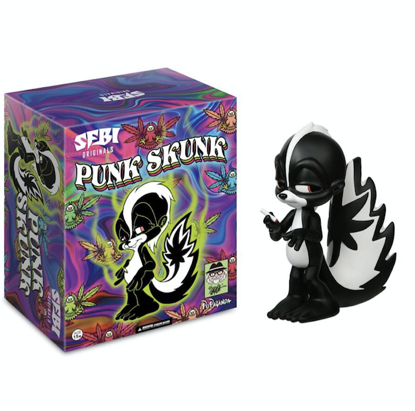 This OG edition follows the black glitter and red glitter ones. 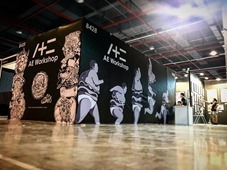 AE Workshop is exhibiting at the Pop Life FanXperience convention in Guangzhou (5.19 – 5.20). 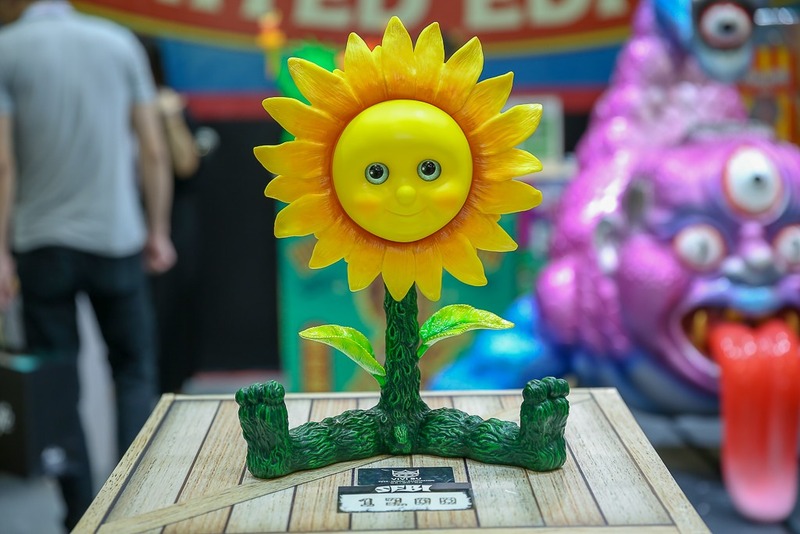 Eric Chow’s The Fattie will be front and center with a display of all the Lost in Obsession customs, as well as two debuts—The Fattie Jeff Mono and The Fattie GID blank. 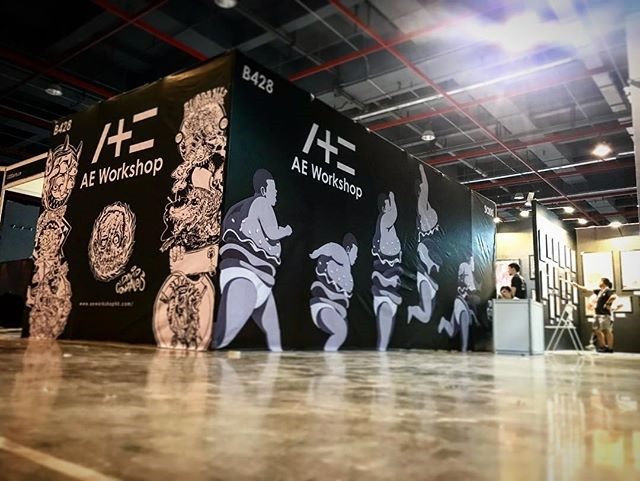 If you’re lucky enough to be at the show, you’ll find AE Workshop at Booth B-428 (across from the NBA booth). Pop Life will present the FanXperience in Guangzhou, China this weekend (5.19 – 5.20) at Nan Fung International Convention & Exhibition Center. 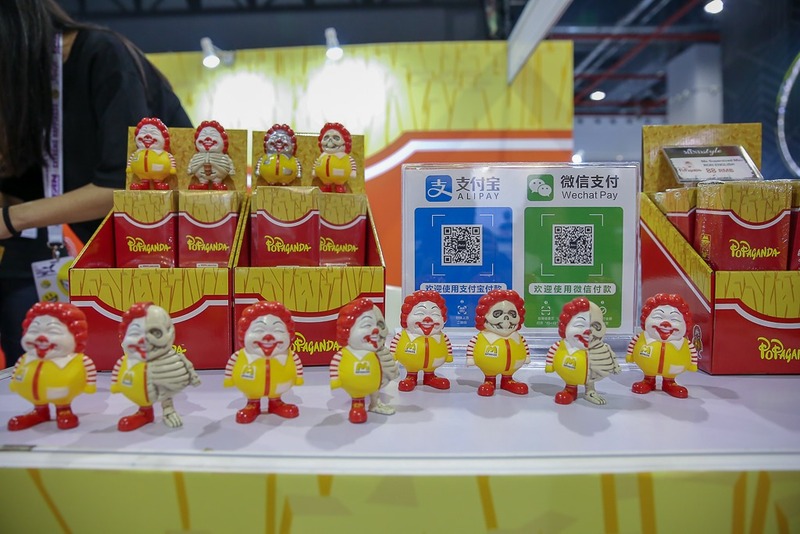 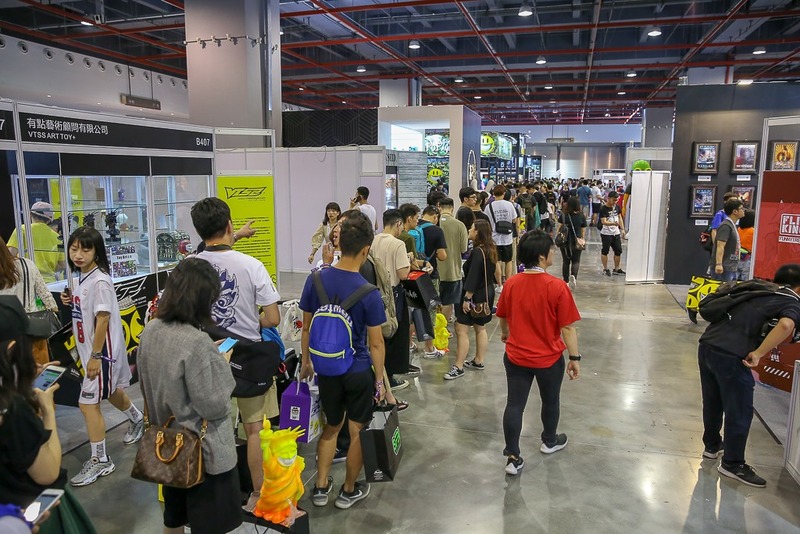 The art toy show brings fans many of the leading brands—Popaganda (A320), SFBI (A325), Secret Base and VTSS—as well as top artists including Ron English, Andy Chen (China), Coolrain Lee, Kenneth Tang (HK) and Zeen Chin (Malaysia). 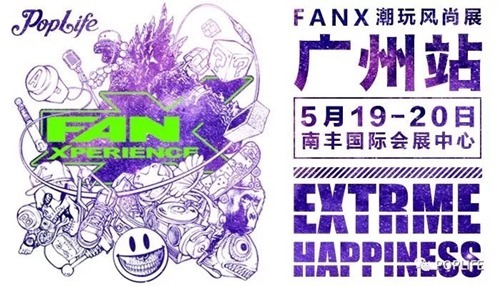 In addition to single-day and two-day passes, FanXperience is offering a VIP pass which comes with early admission as well as a VIP Gift Box featuring a special edition Ice Kirin SFBI from Andy Chen, a special edition MC Supersized Mini from Ron English x Secret Base, a Cereal Killers Mini, and a Commemorative FanX Coin from Ron English and 1000 Arts with the FanX Logo on one side and a stylized image of Ron on the other. 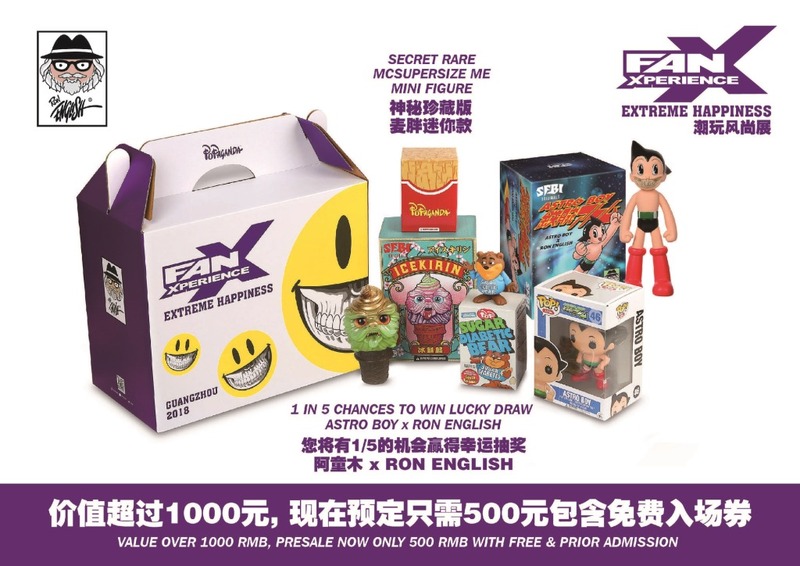 Plus VIP holders can enter a 1 in 5 chance lucky draw for the new Astro Boy Grin from Ron English and Pop Life. 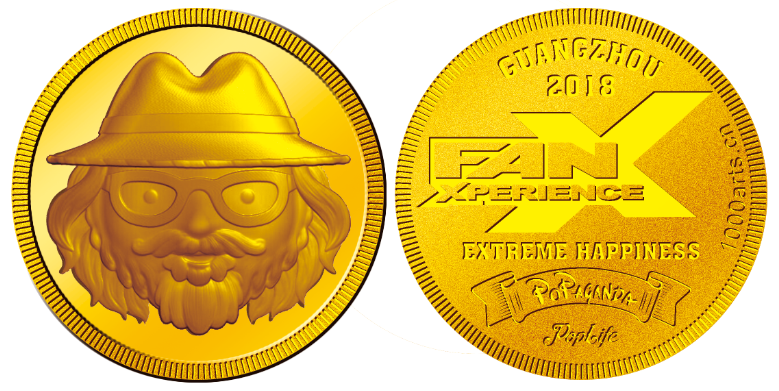 Tickets may be purchased through the FanX site or at the venue.